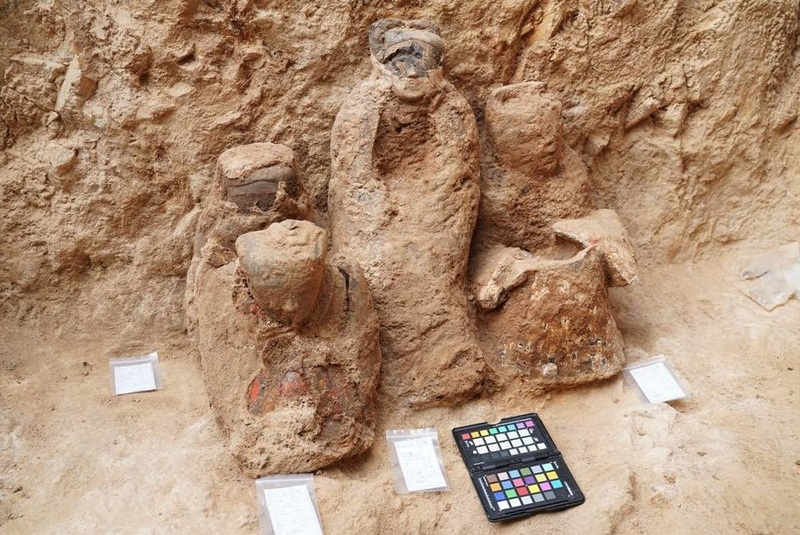 A collection of painted terracotta figures dating back to the West Han Dynasty (202 BC-8 AD) has been discovered on the outskirts of Qingdao, East China's Shandong province, local archaeologists said on Monday. 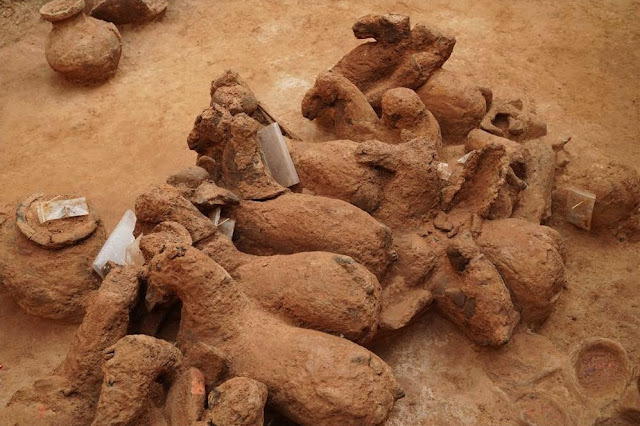 This is the first time painted terracotta has been unearthed in the Jiaodong Peninsula, which includes Qingdao, Yantai and Weihai. With the help of drones and satellite navigation, an eight-month-long dig that began in June 2018 has now returned 16 ancient tombs in total. The terracotta figures were identified to be warriors and servants. 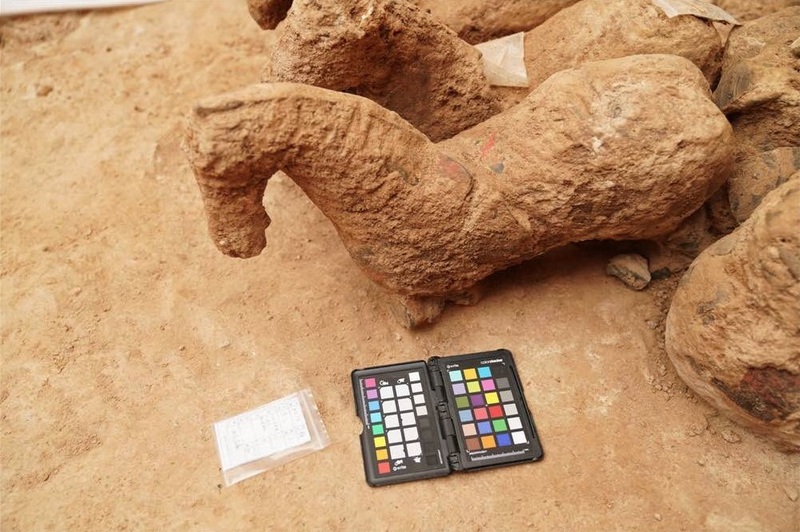 According to Lin Yuhai, director of Qingdao Municipal Institute of Cultural Heritage and Archaeology, one of the biggest challenges now facing the team will be preservingthe figures' paintwork. 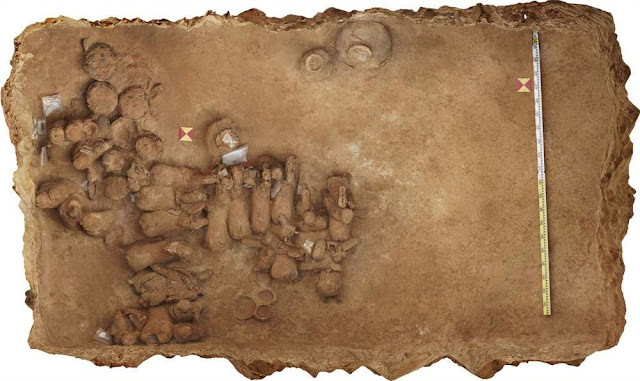 Experts and archaeologists from around the country will be involved in the preservation and protection of the findings.